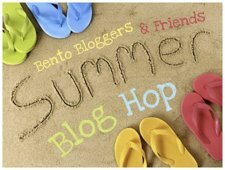 It's the First Day Of Summer and it's Blog Hop time again! Come and join the summer fun! We have more then 20 great summer lunches for you! 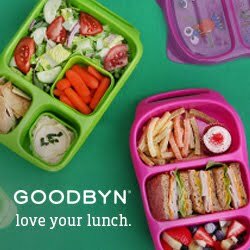 I packed a simple lunch of apple slices decorated with a starfish cupcake pick, a Chobani Champions yogurt and a fun starfish sandwich decorated with melted chocolate, candy eyes and a fruit leather mouth. As always we packed ice water as well! Love the choco starfish. Makes me want some Nutella on my toast this morning! The starfish is v cute! Yum! Chocolate always makes lunch taste better. Cute starfish. Mmmmmm Nutella makes everything taste better :) Super cute lunch! Love the starfish! Super cute! I love this post, Nina! The starfish definitely add a nice detail on the bread. Oftentimes I would send mine so plain and would regret later when I see your creations. You never disappoint. My daughter would eat this lunch in a jif! That starfish looks extra happy. ;) Love your lunch. Super fun! How yummy a chocolate starfish would be!